Arkansas Native Plant Society Field Trip on Wednesday, October 24, 2012 at 10 am. Eric Sundell will lead a leisurely botanical stroll in Little Rock’s historic Mount Holly Cemetery, where several of the splendid shade trees are thought to date back to the cemetery’s origin in 1843. Known as the Westminster Abbey of Arkansas, the 20 acre cemetery is the burial site for 11 Arkansas governors, 4 U.S. Senators, 21 Little Rock mayors, the poet John Gould Fletcher—but according to the Encyclopedia of Arkansas, no botanists. Folks should park on 13th, enter through the 13th Street gate and meet at the Bell House, a short, straight ahead walk from the entry gate. Call Eric at 870-723-1089 or email at esundell42@gmail.com to sign up for this walk. Because of the possibility of a funeral and out of respect for the family, we would go to plan B and only Eric would know that. 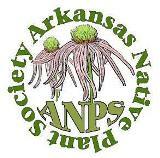 Field trips of the Arkansas Native Plant Society are for current and future members (i.e., everyone welcome). Botanists from around the state lead these enjoyable, educational walks. If you are planning to attend, please contact the trip leaders in advance so they will know to expect you: at some locations, there is a limit to the number of people that can be accommodated. This entry was posted in Field Trips and tagged Eric Sundell, Mt Holly Cemetery. Bookmark the permalink.